This is a British magazine but one which is happy to receive stories from all over the world. The magazine uses roughly four true-life stories about cats and their owners in each issue. These cover a range of topics. In a recent issue stories included a cat owner taking her cat on holiday with her, a couple of unusual health stories and the story of a cat owner who is allergic to her own cats. As well as true-life stories, there are lots of other slots to target offering prizes and gifts. The letters page covers four full pages and there’s a two-page section full of cat photos. Book reviews for books featuring cats are also invited. In the kitten section, there’s a caption competition and various other slots including kitten photos and a ‘Kitten of the Month’ slot. Letters and e-mails from all around the globe are accepted and unlike many letters pages, this one isn’t full of letters relating to previous articles published in the magazine. Therefore, anyone can write in. ‘Freelance Market News’ is an excellent research tool for writers and is packed full of markets for short stories, fillers, readers’ letters and articles and as well as running its own monthly writing competition, there’s also a page of competitions in each issue. In addition to providing market information, you’ll find lots of writing tips and good advice. The magazine also offers a writing opportunity in itself. There’s a letters page welcoming writers’ views on all things writing related and the editor is always happy to see article ideas. This is a quarterly flash fiction competition accepting entries up to 500 words. Flash fiction is great fun to write and as it’s short – most competitions range from between 50 – 500 words, it fits in with other writing projects. ‘Flash 500’ has been going for four years and offers good prize money, with £300 awarded to the winning entry. This long-running magazine is primarily known for its short stories, which are character-driven, traditional, feel-good tales. The fiction team are hugely encouraging and often offer advice if you’re close to being accepted. The magazine also publishes features and poetry. ‘Best of British’ describes itself as ‘Britain’s Favourite Nostalgia and Heritage Magazine’. It’s a monthly publication, which invites articles on all aspects of British life from the 1930s to the 1980s, from holidays, to books, to clothes, to everyday life. The magazine has just upped its payment for letters printed to £75 per letter and a ‘not to be sniffed at’ £100 for the letter of the week. The page is full of letters and photos on all sorts of subjects, from family reunions, to funny things children have said, to hilarious photos. Around six letters per issue are featured on the ‘We’ve Got Mail’ page of this weekly women’s magazine. The star letter pays £75 and is usually a hear-warming family story. Other letters can earn writers £50. They usually publish one letter about an article previously published in the magazine and one letter which relates an amusing incident. The remaining letters cover all sorts, from pets, to poems, to events readers have been to. ‘Writing Magazine’ can be bought in most good size newsagents in the UK. It’s a monthly publication for writers, packed full of useful information on all aspects of writing. The publication also holds monthly short story and poetry competitions. For anyone who likes a set theme, these competitions are ideal. Examples of competitions they’ve held include a short story centred around a journey and a Tanka poetry competition. 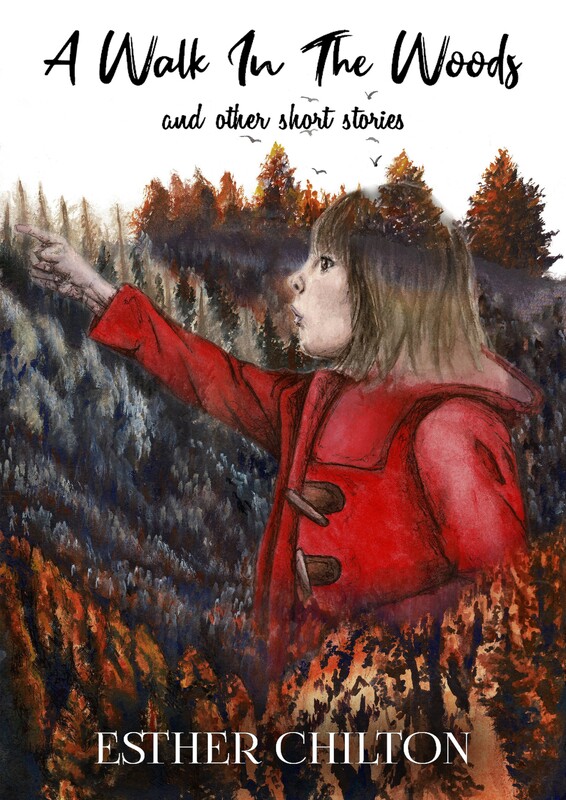 This woman’s weekly invites short stories from published and unpublished writers. Two stories are featured in each weekly issue, one of 1000 words and one of 2000 words. They also feature serials in the weekly magazine. In addition to the weekly publication, there’s a monthly fiction special, packed with 20 stories in each issue. ‘The Lady’ is renowned as ‘England’s longest running weekly for women’. Published continuously since 1885, it accepts letters and articles from both women and men. On the letters page, they like to hear your thoughts on previous articles published in the magazine, as well as your views on all sorts of other matters. ‘Letter of the Week’ wins a prize and there’s also a section on the letters page, titled ‘The Lady and I’, which offers the writer a prize for a short piece of no more than 350 words about how ‘The Lady’ helped the reader in some way. Articles are welcomed on all sorts of subjects ranging from history, to people, to places. Describing itself on the website as the magazine ‘for elegant women with elegant minds’ , ‘The Lady’ is a little different from women’s weeklies such as ‘That’s Life!’ and ‘Take A Break’. So thorough research of the magazine is recommended before you start writing for it. You can view a back-issue on the website for free. Go to http://www.lady.co.uk and click on ‘Read our Digital Edition’. Most of the national newspapers in the Uk give away a free TV magazine every Saturday with their paper so surely people don’t buy them anymore? Wrong. You’ll find several TV magazines at your local newsagents, from the long running TV Times and Radio Times, to TV Choice, What’s on TV, Total TV Guide and others. Each one is packed full of TV news, celebrities, quizzes and questions, as well as a very detailed TV schedule. Most also have a letters page. In the majority of TV magazines every letter published receives a small cash payment. So what is the editor looking for? Letters for the TV magazines haven’t changed much over the years. Essentially they all want your views about anything and everything on TV. If a drama series has moved you with its heart-wrenching subject matter and warm, believable characters, stunning scenery and sheer brilliance, then it will make an ideal letter. On the other hand, if you think one of the soaps’ storylines has got out of hand, it will also make a strong letter. It’s not just the programme editors want to receive letters about; it’s the people in them too. As well as the above, the TV magazines sometimes have other mini-slots that they pay for e.g. ‘Rant of the week’ inviting a reader to let off steam about a TV star or programme. It’s a good idea to check the magazine as these slots can change. Here’s the details for one of the magazines: TV Choice is a weekly publication inviting your views on anything connected to TV. 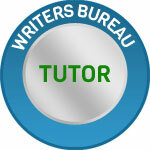 ‘The Writers Bureau’ run two annual competitions – one for short stories and the other for poems. The competitions run separately with the short story competition opening from the beginning of the year i.e. January 1st and closing on the 30th June. The poetry competition is then open from the latter date until the 31st December. ‘Wanderlust‘ describe themselves as being a travel magazine ‘for people with a passion for travel’. Destinations the world over are covered. Thay particularly like ‘off-the-beaten-track destinations, secret corners of the world and unusual angles on well-known places are always of particular interest’. If you like travel writing and are interested, they provide very comprehensive writers’ guidelines, which include what they look for in a travel article, tips, payment and how to send your script. You can find a copy of this monthly publication in selected newsagents, but if you can’t get hold of it, you can subscribe. The magazine holds rolling poetry and short story competitions i.e. if you miss one deadline, your entry is automatically entered into the next competition. Entries of up to 40 lines are accepted for poems in any form and short stories must be between 1000 and 3000 words. The poetry competition awards a cash prize to the winner and there are other prizes for runners up. A cash prize for first, second and third place is given to the short story winners. We all have funny stories and events which have happened in our lives. So why not share yours with ‘The Funny Times’? ‘Chapman’ is a literary magazine and one which is held in high regard. For this particular market, it’s all about the quality of the writing. The publication prides itself on publishing the best in Scottish writing (being Scottish based) but they do publish pieces from all across the globe. They welcome poetry, short stories, reviews, critical articles and debate. The website: http://www.chapman-pub.co.uk/home.php is very interesting and also gives information about what they’re looking for and how to send a submission. Back issues can be purchased from the website to get a feel for the magazine. This e-zine recognizes that it isn’t easy to get published in today’s competitive world and so they are particularly encouraging to new writers. Writers’ guidelines and more about the magazine can be found on their website: http://www.spinetinglermag.com but, as a brief summary, they’re looking for stories of between 1500-3000 words in the following genres: mystery, suspense, horror, crime and thriller. You can read published stories on the website to give you an idea of what they’re looking for in a story. A small payment is made for each story published. They do accept stories of under 1500 words but no payment is made for these. Please read their comprehensive submission guidelines thoroughly before sending a story. The letters page typically publishes five/six letters each week. These can vary from a photo of the reader taken years ago, together with an explanation of the photo, to photos of funny signs, to letters about articles and issues covered in previous issues, to funny true-life incidents, to gripes about anything and everything, to photos of children, animals, family etc accompanied with some text. So there’s something for everyone there. The magazine pays for letters. This daily broadsheet invites writers to send in stories of their travel experiences for their ‘Just Back’ slot. 500 words is the upper limit and if your holiday story is published, you’ll receive £200 in a currency of your choice. £1000 is given to the ‘Just Back’ travel article of the year. Each competition has a different closing date so do look at this carefully when entering. There is an entry fee for each competition. Excellent prizes are on offer for winning entries, together with publication in their anthology. The competition is an international one, but all entries must be in English. Many of you will be familiar with the writers’ bible that is The Writers’ and Artists’ Yearbook. For those of you who aren’t, buy a copy!! It’s full of listings including book publishers and magazines. It’s also packed full of information on all aspects of writing. Most bookshops sell the yearbook but if not, you’ll certainly be able to buy it from on-line bookstores. The entry is open to overseas writers. ‘Dog Fancy’ is a US publication, which uses mainly freelance contributions. They are always on the look-out for new contributors. They require articles of between 850 -1200 words. Nonetheless, they don’t accept unsolicited manuscripts and prefer an idea in the first instance. This travel magazine describes itself as ‘an inspirational yet practical planning guide for cultural immersion travel, work, study, living and volunteering abroad’. This is a correspondence-themed literary journal, which publishes hand-written letters. The journal is published three times a year. Each copy is free and downloadable as a PDF file. They’re looking for ‘stories, essays, poems, memoir, travelogue, reportage, conversation, criticism, speculation, illustration, deviation, and more. If you can fit it in an envelope, we will consider it for publication. There is no theme; there are no restrictions’. But short is their preference. There’s no entry fee and each published letter will receive £100. The theme for this competition is an open one and there’s no strict word limit. There is an entry fee of £2 and the winning poet will earn £25, publication in the magazine and they’ll also be interviewed for the magazine. Entries are accepted from all corners of the world. Two further stories will be picked for commendation. Check the above link for rules and how to send. ‘The purpose of The First Line is to jump start the imagination–to help writers break through the block that is the blank page. Each issue contains short stories that stem from a common first line; it also provides a forum for discussing favorite first lines in literature. The First Line is an exercise in creativity for writers and a chance for readers to see how many different directions we can take when we start from the same place’. Stories should be sent in by 1st November. There are no entry fees and they pay on publication. They prefer stories to be between 300-5000 words. Poetry and non-fiction are also accepted. For payment, guidelines, submission details etc, see the submission page. ‘Almond Press’ have compiled a list of creative writing competitions for 2016. From the Reader’s Digest 100 word competition, to a playwriting contest, to a novel writing competition, there’s something for everyone. If you miss one, then there’s bound to be another you can enter, with competitions listed the year through. Fiction Feast: 800- 1000 words in length. They want a strong story with a twist at the end. Fiction Specials: Any length up to 3000 words. They do accept longer stories but these are only by prior agreement. All types of story are considered. To get a feel for the types of story that will be accepted, read a few issues of the magazine. Take a look at their competition page for more details, including the latest theme and closing date. Very useful: have shared on Twitter and Facebook. Thank you.